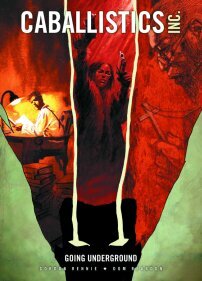 FEAST YOUR EYES ON THESE THREE NEW THRILL-TASTIC GRAPHIC NOVELS! 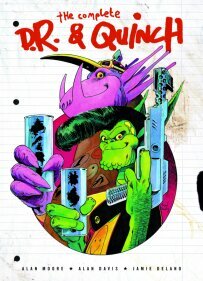 Meet D. R. and Quinch, two alien drop-outs from a far-flung planet. They’re on a mission to have fun and cause the most amount of chaos possible. Destroying the earth is but one trick on their wide repertoire, which also includes double-crossing, war-mongering, heart-breaking and making a hit Hollywood movie! During the Second World War a department was formed within the Ministry of Defence to combat Nazi occult warfare. In the 21 st century, however, it has long outlived its usefulness and its funding is scrapped. Enter reclusive millionaire rock star Ethan Kostabi, who has brought up its employees and, together with a handful of freelance ghost hunters, constructed a brand new outfit – Caballistics, Inc.
Far future lawman Judge Dredd has been a mainstay of the British comics scene for almost thirty years and now you can follow his earliest cases in this vast collection of graphic novels. 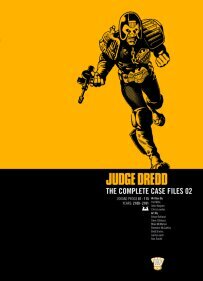 This second volume features the very first Dredd epic The Cursed Earth, written by comic legends Pat Mills (Sláine) and John Wagner (A History of Violence) and featuring the art of Mike McMahon (ABC Warriors) and Brian Bolland (Batman: The Killing Joke).